Can a Garage Door and Outdoor Lighting Really Make a Difference? Homeowners can tend to overlook garages when considering an exterior renovation, but they make a big difference in the look of your home. Whether you choose to add a garage door, outdoor lighting, or even siding to enhance the outside of your home, you can be sure that updating your garage can truly make a difference to the outside of your home. Here are some garage updates that will make the neighbors take a second glance. A garage door doesn’t have to be boring! One of the most common styles of garage is painted steel (usually white) with raised panels, but there are many more options that can complement your home’s design. Carriage-style doors replicate the look of doors found in carriage houses and suit more traditional homes. These garage doors are typically made of wood and have handles to swing open the doors. They can be installed to open automatically like traditional garage doors for extra style and more convenient functionality. For more modern or contemporary homes with clean lines and high-tech materials, the garage door should have a similar look. An aluminum framed door with glass paneling is a great option for the modern home. Glass and aluminum doors allow natural light in during the day and a warm glow at night. The glass can have varying degrees of transparency to maintain privacy. Outdoor lighting features can be used to highlight details like siding, landscaping, and other accessories you have on the exterior of your home. Pendants, sconces, lamps and pier mount fixtures can be mixed and matched based on personal style and current design of your home. Exterior lighting creates a welcoming ambiance for your family and guests. 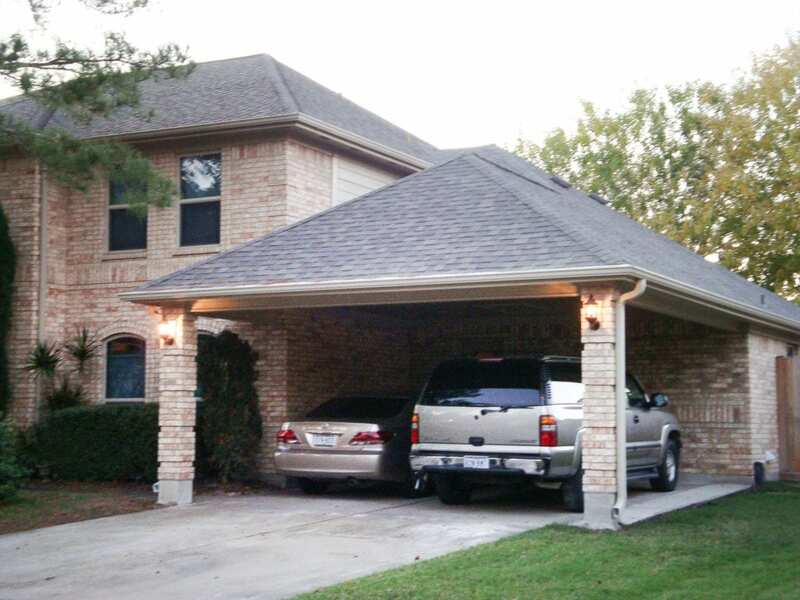 Outdoor lighting is also crucial for the safety and security of your home. If you are updating your garage, consider adding additional outside lighting around the garage and walkways to provide an extra sense of protection against potential threats. Extra lighting can dissuade intruders from breaking in and give you a clear view of the yard when necessary. You can design carports to match your home and add interest to the property. Whether you have a garage or not, adding a carport to your driveway is a great way to protect your vehicles from the elements. Many homeowners prefer to use the garage for storage and a carport for their cars. They also add a layer of protection from the elements as you walk from your car to the house. Replacing siding can transform your home and your garage! 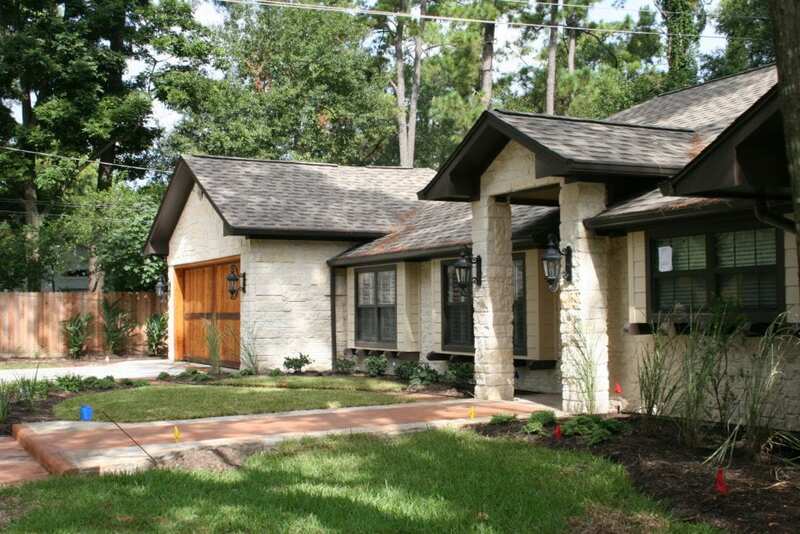 Stucco siding adds a Spanish flair while materials like brick or wood have a more traditional feel. Or go more contemporary with dark wood and fiber cement. There are a variety of options to make your dream garage a reality. Outdated siding is not only an eyesore, but it can also be dangerous! Siding protects your garage and everything inside it from the impact of external forces. This is especially important in Houston, with unpredictable weather-related events like storms, hail, and hurricanes. In addition, torn-off panels of siding could potentially injure kids or pets playing in your yard. If you are looking to give your garage a refresh, call All Star Construction today at 281-847-0294. At All Star we handle every step of the process, from design to build, and are a one-stop shop for all home renovations.